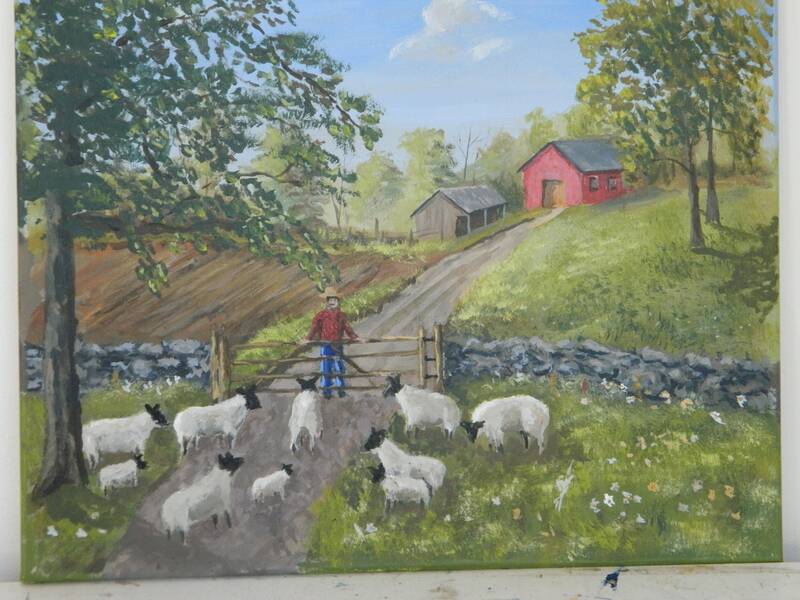 DESCRIPTION : Most of my paintings have a story in them , If you have ever keep sheep or know some one who does this was painted for you . It often amazes me how they know when it is time to go back to the barn. I know this to be true because we have had some sheep on our small farm. My preferred method of payment is PAYPAL. It is fast and secure and accepts all major credit cards. Art work is first wraped in a protective covering then placed in a tap locking white stay flat envelope.Packages are shipped usps with a tracking number. You can return any painting with in seven days after you receive it. No questions will be asked . I will insure a full refund! All of my paintings are originals painted and signed by me no two are the same.